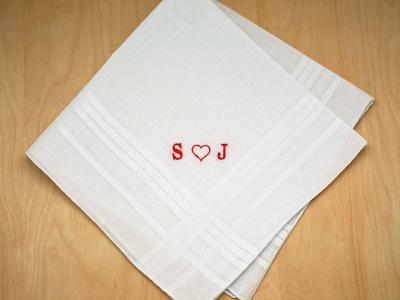 These adorable shirts made out of mens handkerchiefs make the perfect complement to our wedding dress hankie favors. 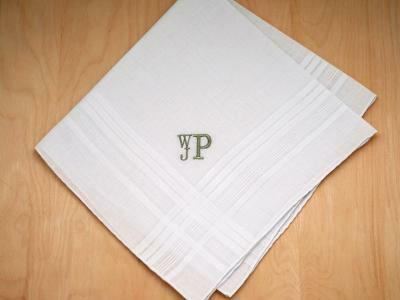 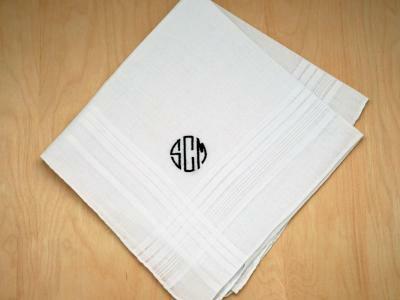 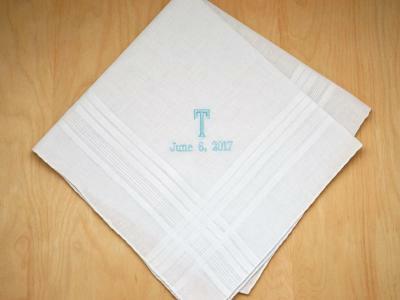 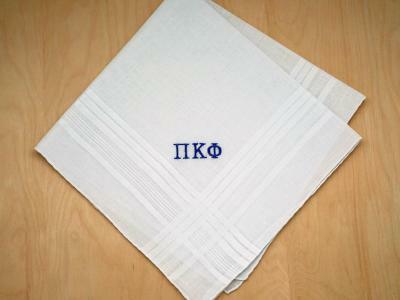 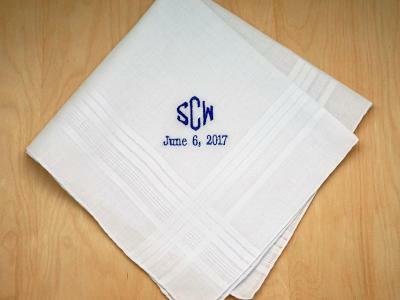 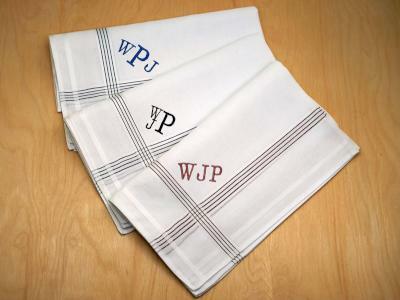 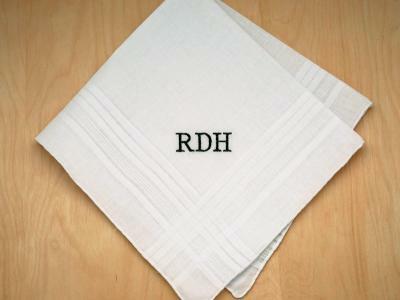 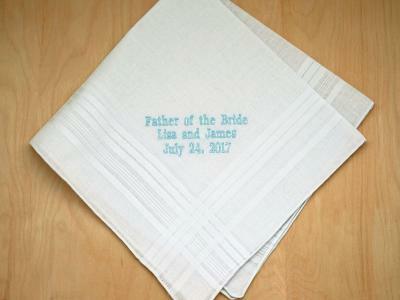 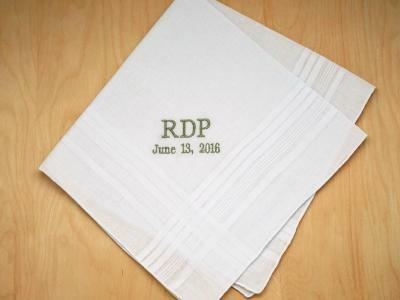 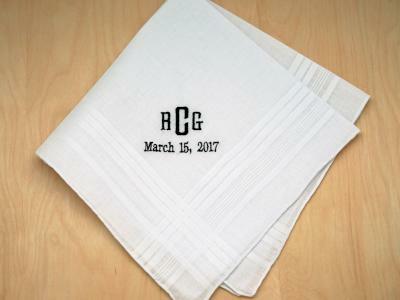 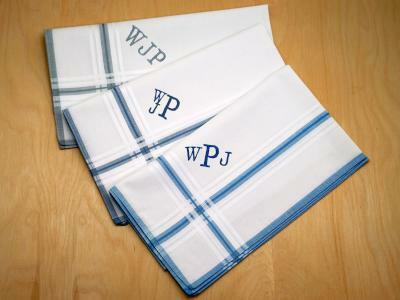 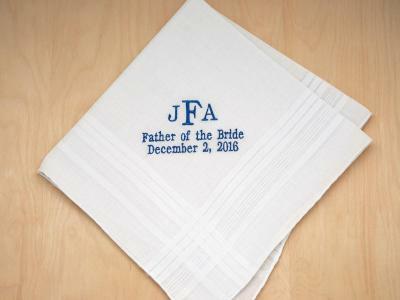 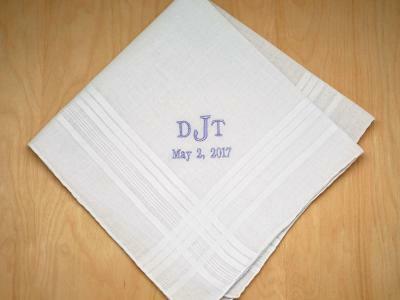 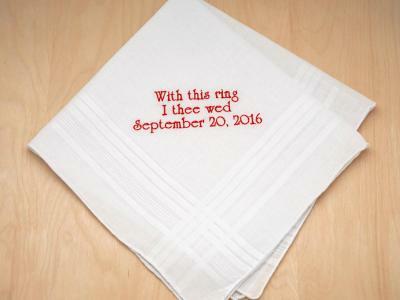 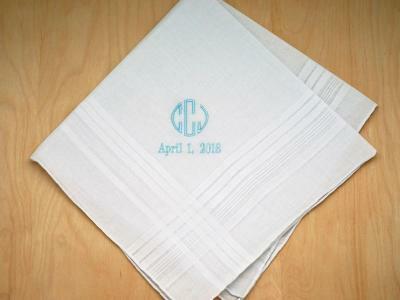 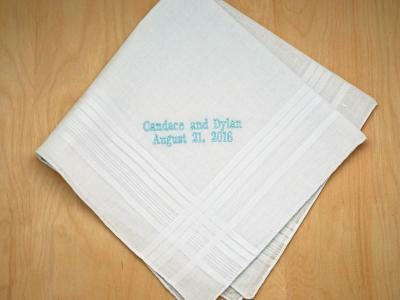 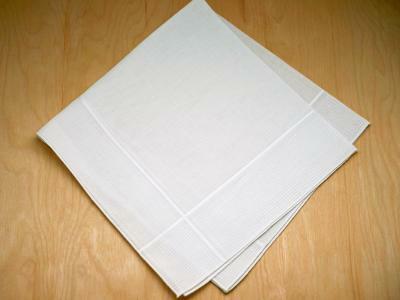 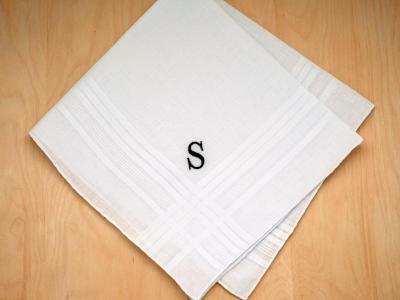 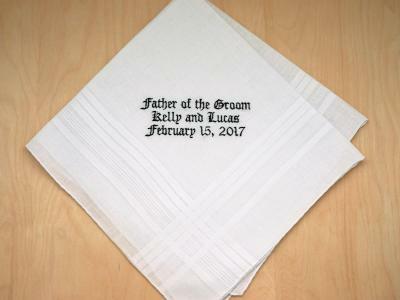 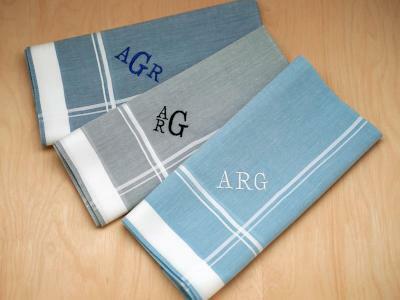 Make your wedding day special by personalizing these handkerchief favors in your own wedding colors! 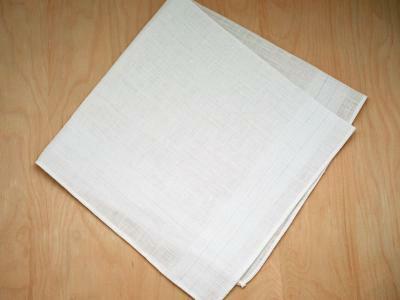 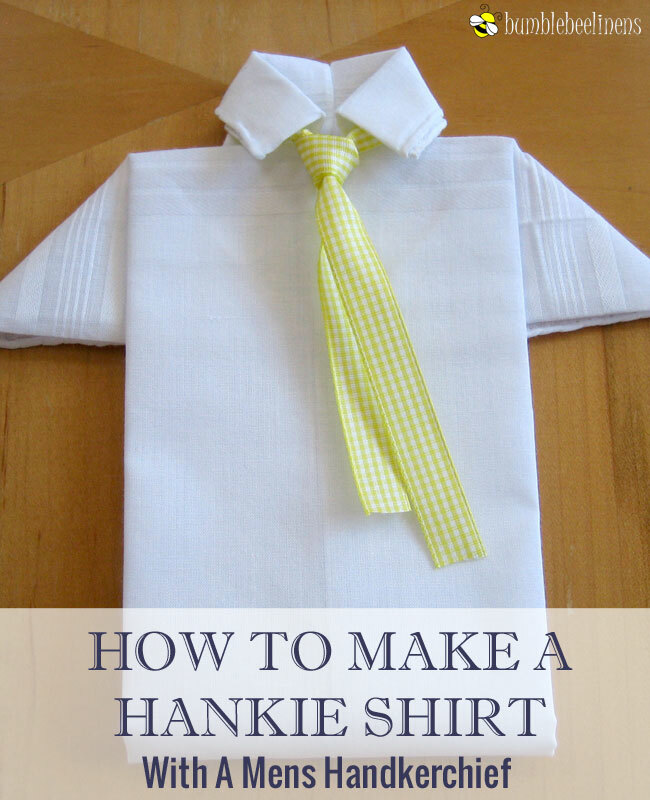 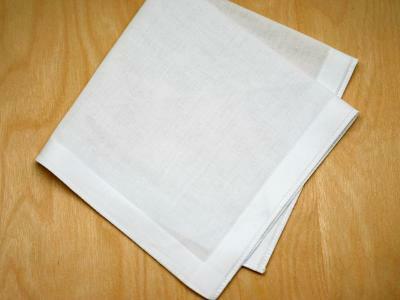 Making a mens hankie shirt is easy to do and can be done in under 5 minutes. 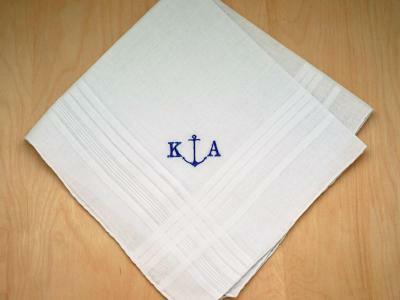 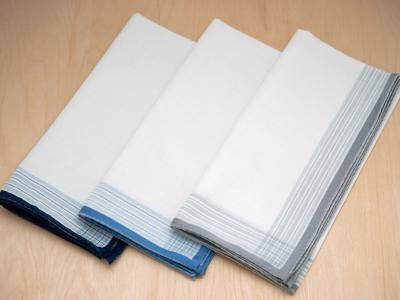 Our mens handkerchiefs are perfect handkerchiefs for this craft! 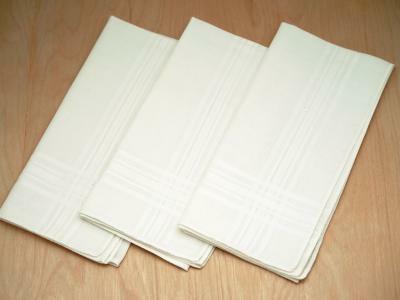 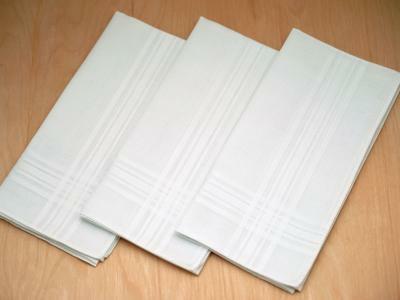 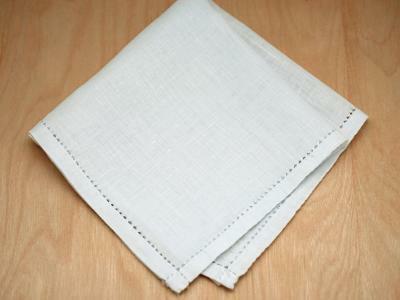 Iron handkerchief flat. 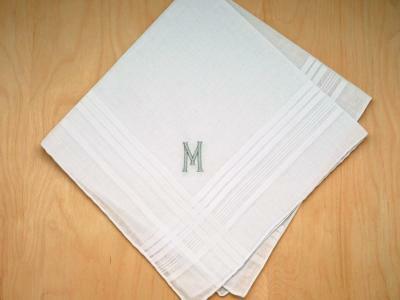 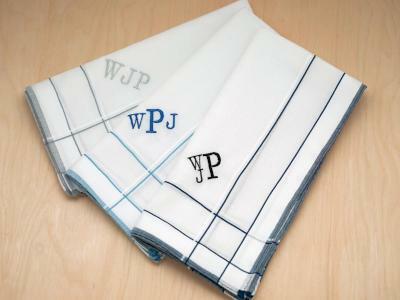 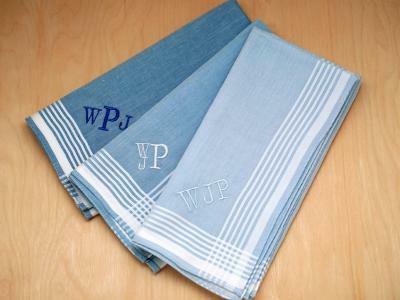 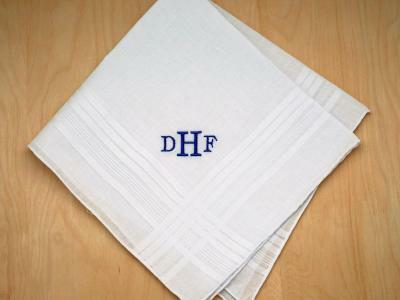 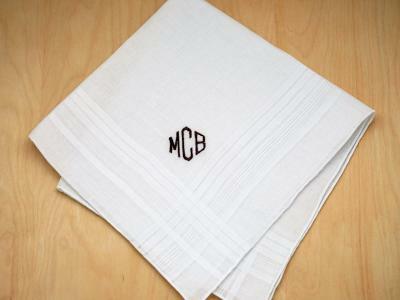 If your handkerchief is monogrammed or embroidered, make sure you iron the handkerchief over a towel to protect the embroidery. 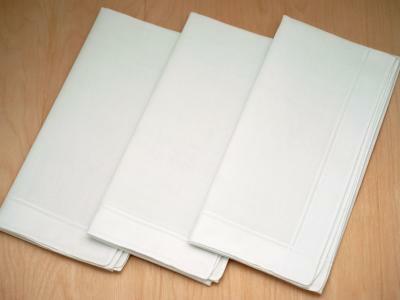 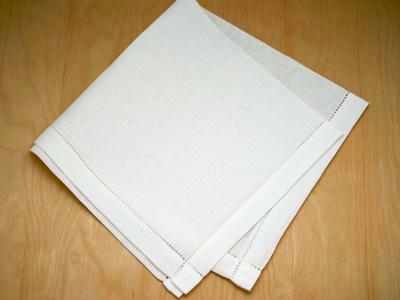 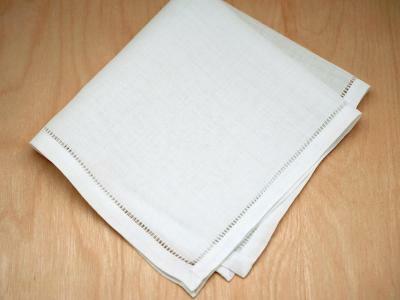 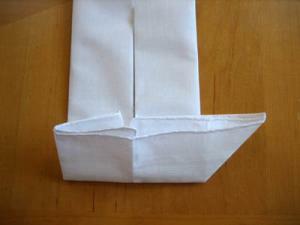 Fold one end of the handkerchief back (away from the crease side) about half an inch and iron the fold flat. 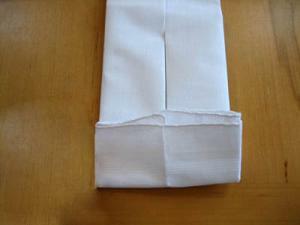 With the crease side of the handkerchief facing up, fold the upper right corner diagonally towards the center of the handkerchief. 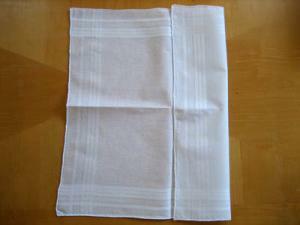 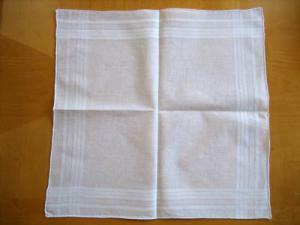 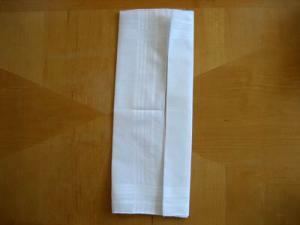 With the crease side of the handkerchief facing up, fold the upper left corner diagonally towards the center of the handkerchief. 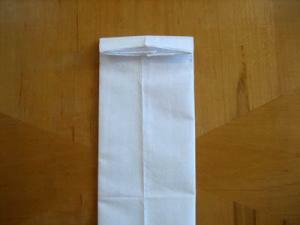 Fold the other end of the handkerchief upward about 1 inch. 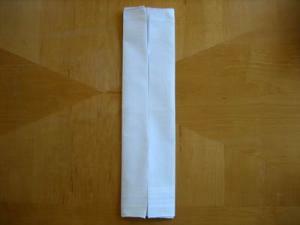 Open up the fold towards the right to form the right sleeve of the hankie shirt. 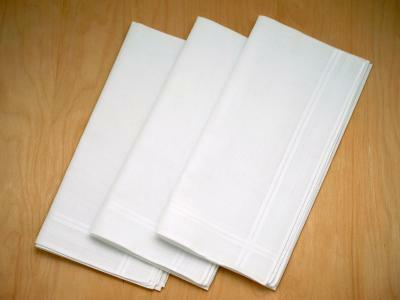 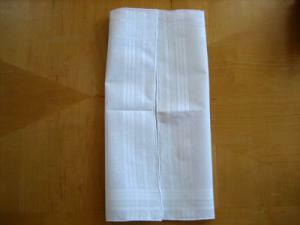 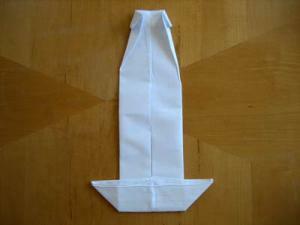 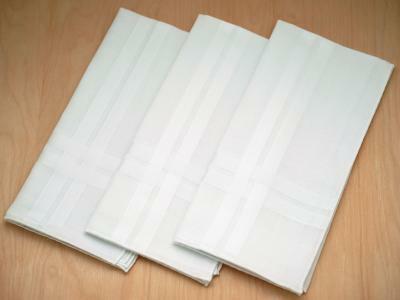 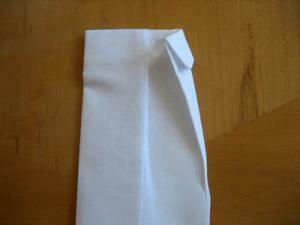 Open up the fold towards the left to form the left sleeve of the hankie shirt. 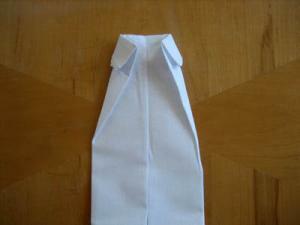 Fold the hankie shirt up and tuck underneath the collar. 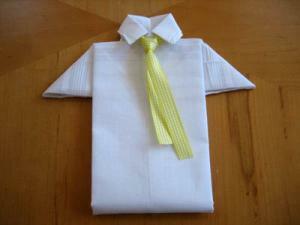 Congratulations, you have just made a mens hankie shirt!